Some fatal situations fall under Arizona’s negligent homicide law, which also serves as a reduced charge that prosecutors sometimes use in manslaughter cases. But this lesser-known and less serious crime for taking a life is still a severe offense. You may remember the “sweat lodge” multi-death case from October 2009 in Sedona. A jury convicted self-help author James Arthur Ray of negligent homicide involving the deaths of three of the 60 people who were jammed into a 415 square-foot hut heated by rocks glowing red, causing many other participants to become ill. The prosecution had charged Ray with manslaughter. The judge sentenced Ray to two years in prison for each death, to be served at the same time, called concurrently. The state had sought three years for each death to run one after the other, called consecutively, which would have totaled nine years. The defense argued that Ray be placed on probation. The judge in the sentencing said the evidence presented showed Ray acted with “extreme negligence.” He served just under 20 months. Negligent homicide, codified in Arizona Revised Statute §13-1102, is defined as someone causing a death by acting with “criminal negligence,” which spans a vast spectrum of behaviors. A negligent homicide case hinges on the legal definition of criminal negligence. Arizona law, §13-105(D), defines criminal negligence as committing an offense by failing to perceive a substantial and unjustifiable risk and the result of that risk also, that the risk must be a gross deviation from the standard of care toward someone else that a “reasonable” person would observe in the specific situation. A person who takes such a risk but is unaware of the risk because of voluntary intoxication can still be charged. Most criminally negligent acts stem from alcohol or drug-related fatal crashes on Arizona’s roads, but it also can result from street racing or driving at an excessive speed. Beyond the roadways, other actions or failures to act can lead to this crime, such as failing to install adequate safeguards to keep neighborhood children from getting into the pool and drowning. Committing a negligent homicide is a class 4 felony (out of six classes). Felonies require that a term of incarceration be served in state prison and fines. Conditions of probation establishing specific behaviors and duties may begin after the sentence was served. Violating probation means going back to prison. Judges have discretion in applying Arizona’s sentencing schedule, as you noticed in the sweat lodge case. Judges take into consideration various factors stemming from the particular circumstances of the offense charged such as first-time and repeat offenders. Arizona’s Criminal Sentencing Guidelines have five levels – mitigated, minimum, presumptive, maximum, and aggravated – that judges use to establish the duration of a sentence. The guidelines have been divided into dangerous and non-dangerous crimes. A charge of negligent homicide can also be pursued as wrongful death in civil court by the decedent’s family seeking financial damages. The impacts of a felony conviction can follow you long after the term of incarceration is served. A convicted felon surrenders the right to own or possess a firearm and the right to vote in elections. Employers are wary about hiring or re-hiring them. Landlords in protecting their tenants can refuse to rent felons a place to live. If the felon has a professional license or certification, the licensing authority can suspend or revoke the credential causing a significant gap in income or ending a career. If you or a loved one are under investigation or have been formally charged with negligent homicide, it’s imperative that you immediately seek a criminal defense attorney experienced in working these cases to protect your Constitutional rights and develop a defense. Building a strong defense involves the following. Authorities can sometimes overstep their legal bounds and those are the mistakes that can mean the state is denied use of that evidence in court. It can also mean dismissal. That’s what my goal is for my clients. If the state has a strong case you may negotiate a plea agreement, or the state may offer to reduce the charge to a lesser offense and a more beneficial sentence for you to consider. If you or someone you know have been charged with negligent homicide, contact the Law Office of Aaron Black for a free telephonic conversation at (480)729-1683. 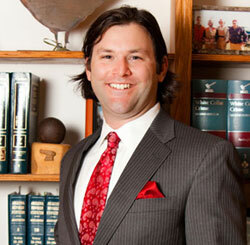 I defend clients charged with serious criminal offenses in all Arizona city, state, and federal Courts.